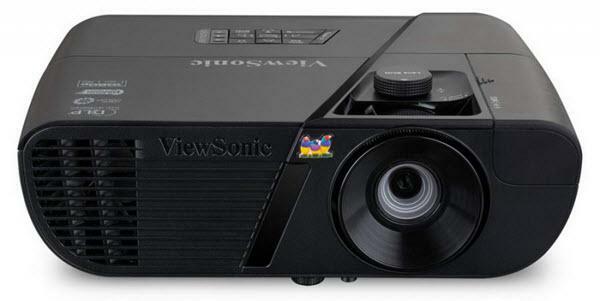 So what happens when you put a $4499 DLP 3D 1080p projector up against a $2999 LCD 3D 1080p projector? We put the Optoma HD8300 and the Panasonic PT-AE7000U (read our Panasonic AE7000 review) side-by-side and took a look. This is what we found. Light output. The HD8300's Cinema mode is brighter than that of the AE7000 by a fair margin - 996 lumens versus 526 lumens using the high lamp and wide angle settings for both projectors. This will make the HD8300 more useful for very large screens in rooms with good ambient light control, while theaters with smaller screens might benefit from the AE7000. The AE7000 has Normal mode, which cranks out 1300 lumens and has no direct analogue on the HD8300--Bright mode loses too much color fidelity and contrast to be directly comparable. However, keep in mind that the HD8300's Cinema mode produces 996 lumens with perfect color balance, while Normal mode sacrifices some color performance to reach that level of brightness. In a very bright room, the AE7000's Dynamic mode produces 1685 lumens which the HD8300 cannot match. As you can see, each projector has its advantages, depending on the situation. Contrast. The AE7000 is rated at 300,000:1 contrast while the HD8300 is rated at 30,000:1. While we will be the first to tell anyone that specs never tell the whole story, they do sometimes offer a grain of truth. Black level on the AE7000 is clearly deeper in almost all scenes while the AE7000's dynamic range has a slight edge as well. These two projectors are displaying an identical image simultaneously. This is a single photograph of the two images at once. Color. Both the HD8300 and the AE7000 have very good color before calibration, and both improve even further with calibration. The HD8300 has more granular controls, so it's easier to fine-tune the projector to the exact value you need. On the other hand, the AE7000 is closer to D65 by default and has a stronger red than the HD8300, where red appears slightly weak in comparison. Both projectors are usable without calibration, but both improve substantially with a bit of fine-tuning. Grayscale tracking. Top: Panasonic AE7000. Bottom: Optoma HD8300. Placement flexibility. The AE7000 has a 2.0:1 powered lens compared to the HD8300's 1.5:1 manual lens, and the AE7000's lens shift range is greater than that of the HD8300. The two projectors both lose a significant chunk of total light output when using the telephoto end of the zoom lens - the HD8300 loses 32% while the AE7000 loses 40%. Features. The HD8300 and AE7000 both have frame interpolation systems, detail enhancement systems, and automatic detection of anamorphic content. 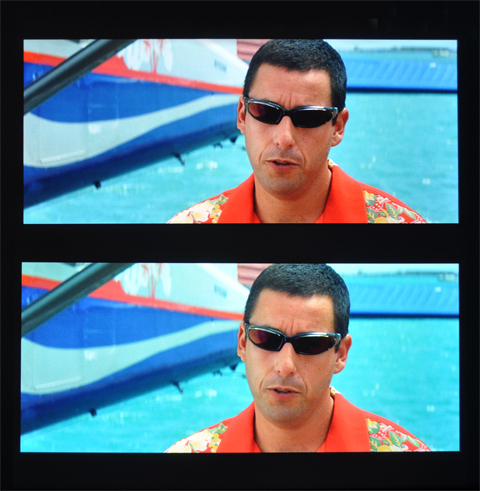 The AE7000's frame interpolation system exhibited less of the digital video effect when at its highest setting than the HD8300 did, though both eliminated judder equally well. 3D. The HD8300 uses radio-frequency sync 3D glasses while the AE7000 uses infrared sync, meaning that the HD8300's emitter does not have to be in line-of-sight while the AE7000's emitter does. On the other hand, the AE7000's emitter is built-in to the projector itself, while the HD8300's external emitter plugs into the back. 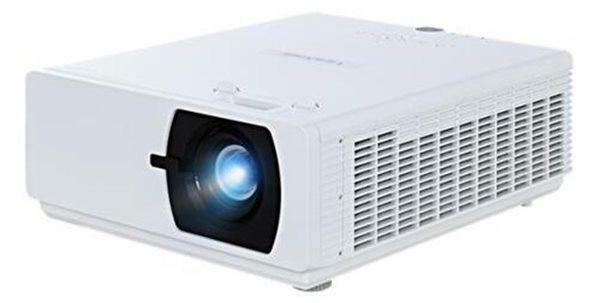 When it comes to 3D image quality, neither projector shows much crosstalk, and it is hard to decide which is better, if either has an edge at all. While the HD8300 has a very bright 3D mode (around 700 lumens), the AE7000 makes use of 480Hz processing to allow more light to pass through the glasses. The end result is that brightness is a wash--in real use, the two projectors appear equally bright in 3D mode. The AE7000's deeper black level gives it an advantage in darkened theater rooms.